Definition at line 164 of file ws2ipdef.h. Definition at line 166 of file ws2ipdef.h. 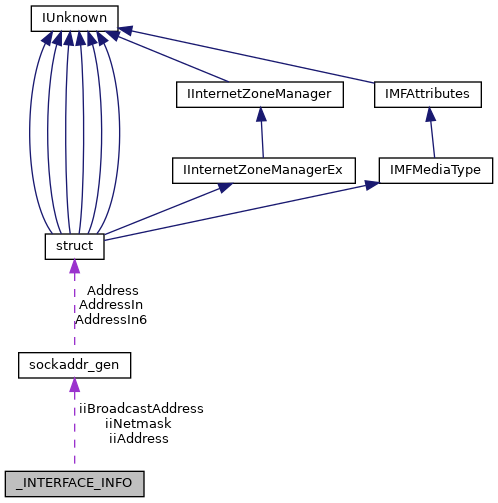 Referenced by Test_WSAIoctl_GetInterfaceList(), and WSHIoctl_GetInterfaceList(). Definition at line 167 of file ws2ipdef.h. Definition at line 165 of file ws2ipdef.h. Definition at line 168 of file ws2ipdef.h.